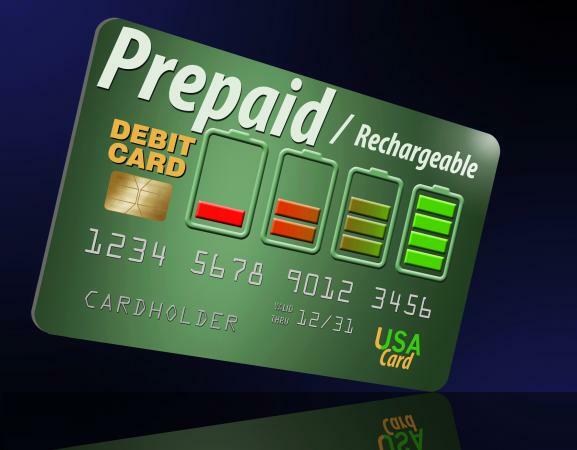 Prepaid debit cards provide are widely available at a variety of retail stores, from big box retailers and drug stores to gas stations and dollar stores. They can also be purchased from some banks, as well as online retailers. Look for a card that provides you with a lot of benefits and options. Examples include the ability to receive direct deposits, reload funds from your bank account and make ATM withdrawals. Inquire about fees. Some companies will charge you a fee to activate the card, a fee to use the card, a monthly fee, and ATM fees. These fees are deducted from your balance. For example if you get a prepaid VISA card for $250 and have an activation fee of $10, your available balance will be reduced to $240. Check with the Better Business Bureau to verify if the card issuer is reputable. Remember, the store that sells the prepaid card is not the issuer of the card. You will find the name of the issuing financial institution on the card itself. Before purchasing a prepaid debit card, carefully review the terms and conditions to be sure you are selecting one that suits your needs. Make sure you fully understand all fees, as well as the features and limitations associated with the account.